I've been so busy that I almost forgot my Blogerversary was this week! 1 whole year! Yahooo...Thanks for reading! Isn't that so strange!? Has anyone else never been snow skiing? So correct me if I'm wrong, but here is something I might wear if I ever hit the slopes one day. Happy 1 year! Snow skiing is fun! 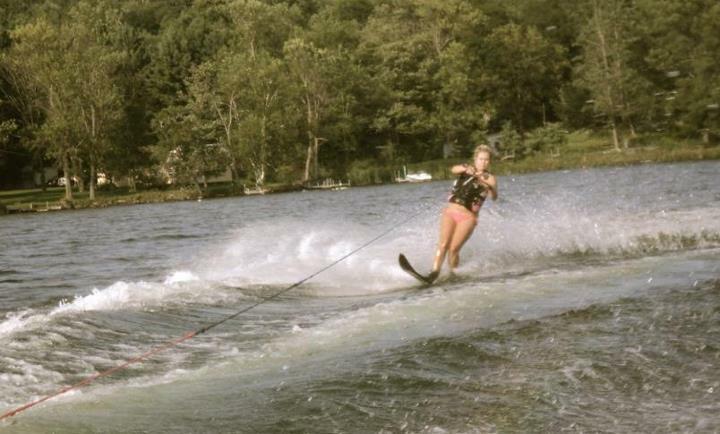 I actually find it less scary than water skiing, I was so shocked that I got up on my first try water skiing that I freaked out and let go of the rope because I was scared of getting taken out and smacking the water haha.. you're going to have so much fun! Just make a "pizza triangle" to slow yourself down if you feel you're going to fast.